This egalley of the book was provided by NetGalley and Harlequin Teen. Thank you, awesome people! Remember when Lady Kagawa* did the cover reveal for this books months back? I do. Crystal clear. Because all I remember was that Ethan (precious Ethan!) was no longer little and he was shirtless. Yup. In the course of two seconds that fateful day, my thoughts of Ethan being all little brother-like and absolutely adorable changed into something polar opposite. And did I mention that he was shirtless? 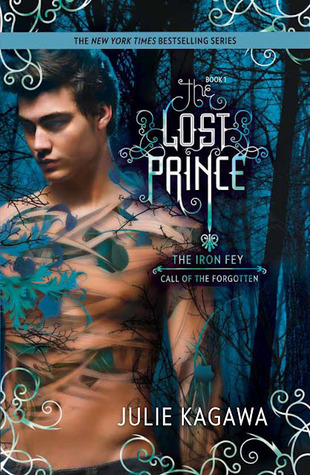 I wasn't sure how Lady Kagawa was going to continue this Iron Fey/Call of the Forgotten thread. I mean, Megan finished her quest, saved a bunch of faeries, married a really hot faerie, and became a faerie queen. It sounded like a pretty closed end to a series. Then I read the little synopsis given above and I was all like, 'Whoa. Dude, you can't hate the faeries! NOOOO.' And with those 125 words, I became emotionally invested in the story. So it's not very often where the reader gets to be in the head of a dark and broody guy. Never in a million years did I think that Ethan would turn into this dark and broody guy because there in my head was that innocent image of Ethan all adoring his older sister and talking to the bogeyman that hung out in his room. No. No, Ethan no longer is that little innocent boy from the Iron Fey series and it's good to accept that now or risk your mind getting all conflicted and le depressed. Story wise, it was awesome. It was filled to the brim with adventure and exciting action scenes. It was well plotted and well paced and never once did I get bored. I could not put it down. I was even a little sad to see it end because I wanted more. More, more, more. ** And I'm not going to say anything else or I risk giving something away, which is a big no-no. The Lost Prince was everything I expected and more from the talented Julie Kagawa. Readers, prepare to be blown away by this new series debut. 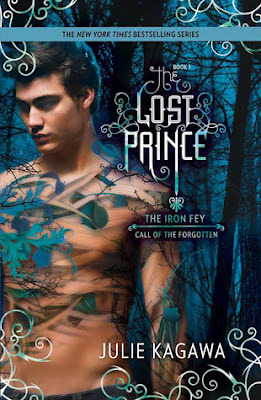 The Lost Prince was the perfect amount of action, adventure, and romance with plenty of brooding narrative on the side. I laughed, I gasped, and felt All the Emotions. If you're a fan of Julie Kagawa or even a fan of faeries, picking this book up would be one of the best decisions of your bookish life. *She is Lady Kagawa because she is Awesome and takes fighting with sticks classes which also makes her a ninja in the realz. **By writing 'more' consecutively like I did, I have discovered that it is, in fact, a funny word to look at. Or is that just me? P.S Grimalking pwns you all!